A combination of sleep deprivation and light therapy is referred to as combined chronotherapy. A combination of sleep deprivation and light therapy known as combined chronotherapy was found to alleviate symptoms in patients experiencing depressive episodes according to study findings published in the Journal of Affective Disorders. Since the 1970s, sleep deprivation has been used to “reset” the circadian rhythm ofpatients experiencing severe depression. 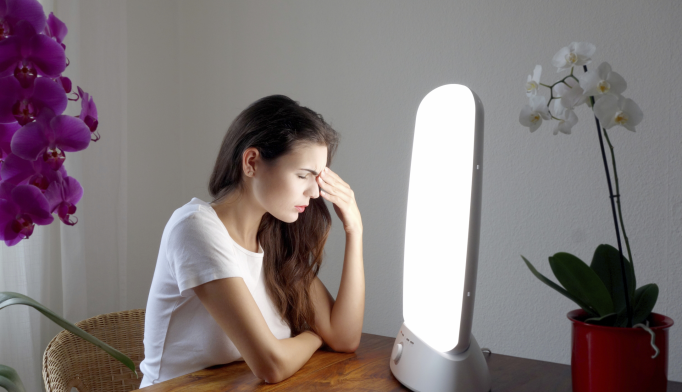 Light therapy is most commonly associated with seasonal depression, although it has been used to treatnonseasonal depression, as well. This open-label trial aimed to demonstrate theclinical feasibility of the two treatments combined. The investigators identified 26 patients with unipolar (n=16) or bipolar (n=10) depression. The patients were experiencing a depressive episode at baseline and had received an average of 3 prior unsuccessful treatments for depression. Inaddition, 73% of participants (n=19) had comorbid psychiatric diagnoses. Patients who were taking tricyclic antidepressants, had psychotic symptoms, manic symptoms, or epilepsy were excluded from the study. The combined chronotherapy consisted of 3 total nights of sleep deprivation with 1 recovery night between each plus 10 half-hour sessions of light exposure over 2 weeks. Inventory of Depressive Symptom scores were evaluated at baseline (39.3), weeks 1 (28.4), 2 (28.6), and 3 (28.6). After the first week, the prevalence of severely depressed patients had decreased from 62% to 15%. At week 4, this number returned to 28%. The overall response rate was 34.6% with a remission rate of 19.2%. An advantage of the treatment was the ability to identify response, or nonresponse, within 1 week, potentially enabling more efficient treatment in clinical practice. Limitations of the study included the lack of a control group and its relatively small sample size. Sikkens D, Riemersma-Van der Lek R, Meesters Y, Schoevers R, Haarman B. Combined sleep deprivation and light therapy: Clinical treatment outcomes in patients with complex unipolar and bipolar depression. J Affect Disord. 2018;246:727-730.